VietNamNet Bridge - Vietnam buys coal from Indonesia at the price of VND1.6 million per ton, while coal from China is 6.6 times more expensive, at VND8.2 million. According to the General Department of Customs (GDC), in the first seven months of 2018, Vietnam increased crude oil imports by 544 percent in quantity and 670 percent in value. 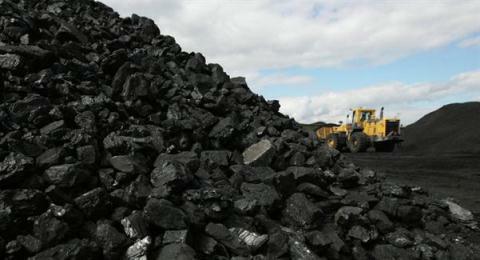 The coal imports also increased by 49 percent in quantity and 71 percent in turnover. By the end of July 2018, Vietnam had imported 11.9 million tons of coal worth $1.4 billion. The average import turnover was VND2.6 million per ton. The report of GDC released in May showed that the coal import price was VND2.67 million per ton, or VND330,000 lower than the export price. This shows that Vietnam exports valuable coal and imports low-quality products. While Vietnam could buy coal from Indonesia at VND1.6 million per ton, it had to pay VND8.2 million for every ton of imports from China. Besides Vinacomin and Electricity of Vietnam, some foreign invested enterprises also have the right to import coal to run their power plants, including Formosa, export processing zones and BOT power plants. Besides crude oil and coal, Vietnam has also increased the import of ores and minerals. It imported 7.9 million tons of ores in the first seven months of the year, an increase of 90 percent over the same period last year, valued at $662 million. Vietnam also exports the same products. At least 2.1 million tons of ores and minerals were exported during the same time, worth $109 million. The average export price is VND1.2 million per ton, or VND700,000 per ton lower than the import price. Analysts, citing the figures, pointed out that the prices of goods at which China sells to Vietnam are much higher than other markets and higher than the price at which it buys from Vietnam. Le Huy Ba, former Director of the Institute of Science, Technology and Environmental Management, said he and other scientists many times voiced their concern about the sale of ores and minerals to China at low prices which has existed for years. Ba stressed that economic relations among countries are fair, so Vietnam should not and does not have to sell natural resources cheaply to any other countries. “I have many times raised the question why Vietnam sells ores and minerals cheaply to China and what it expects to get in exchange for this,” Ba said. Pham Pho, former Rector of the Saigon College of Economics and Technology (SAIMETE), commented it is the right time for Vietnam to restrict and stop the export of raw materials which bring modest revenue.